Although there are lots of different coffee brewing methods to be tried, the French press method of making a cup of Joe is still a firm favorite in many households. In fact, many die-hard coffee aficionados maintain that you can’t get the best flavor from your beans through any other method of brewing. Now, as every home barista knows, the final flavor of your finished brew is dependent on many factors, but the most important of these is your choice of bean and your grind. And to get the best out of your French press, the grind is of paramount importance. Here at Roasty, we want to help you achieve perfection in your home barista endeavors, so we’ve taken time out to hunt down the very best coffee for use in a French press. But before we get down to the nitty-gritty of what makes the best coffee for French press, we need to explain why the coffee you choose is so important. Many people who routinely use a French press will automatically reach for a bag of ready-ground coffee. Now don’t get us wrong here, there are some excellent quality and totally delicious ground coffees out there. But if you want to extract maximum flavor and enjoy the subtle nuances of your favorite coffee, you really want to grind your beans yourself if you’re using the French press brewing method. The French press needs a medium to coarse grind. That’s because the flavor extraction process needs maximum water surface area to be fully effective. This also facilitates better carbon dioxide release from the coffee grounds during steeping, further enhancing the flavor of the finished brew. Finely ground coffee tends to pass through mesh filters, leaving gritty residue in your cup. Coarse ground coffee gives a much clearer, brighter flavor in a French press. To get the best flavor from a French press, you’ll need to take the DIY route and grind your coffee beans yourself. If you don’t already have one, invest in a good-quality electric or manual coffee grinder. Check out our helpful article on stainless steel versus ceramic coffee grinders and get yourself a good one. 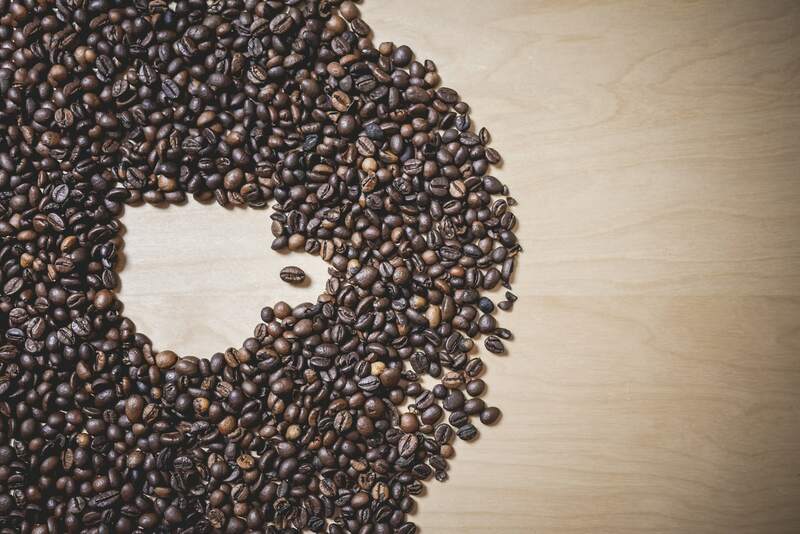 Of course, it is possible to grind your coffee beans without having to splurge on a grinder. And once again, your resourceful coffee-loving friends here at Roasty have a detailed guide on exactly how to do that. Another option is to buy your coffee beans at a really good local coffee shop and ask them to grind the beans for you. Most commercial grinders that are used in barista houses have a small icon with a French press on it that will give you the coarse grind you need. Of course, grinding your coffee beans yourself at home means that you’re guaranteed a super-fresh cup of Java every morning. Nice. Theoretically, you can use any bean in a French press. However, most baristas prefer to use a medium or dark-roasted bean. That’s because these roasts retain the most oils, leading to a better tasting and more flavorful brew. So, without further ado, here’s what we consider to be the best coffee for French press. 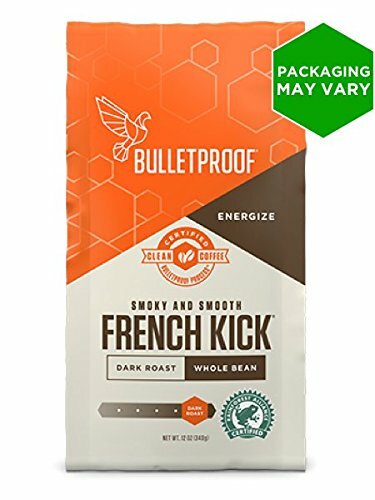 Bulletproof Coffee is sourced from passive-organic plantations where the beans are grown using traditional, chemical-free methods. 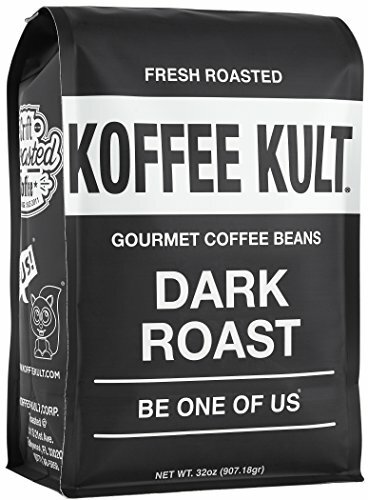 The beans are roasted in small batches in US roasting houses to produce a dark-roast that gives a smooth, sweet, smoky note with chocolate overtones. The finish on the palate is clean with a medium body. This is one of Amazon’s best-sellers and lends itself very well to the French press brewing method. 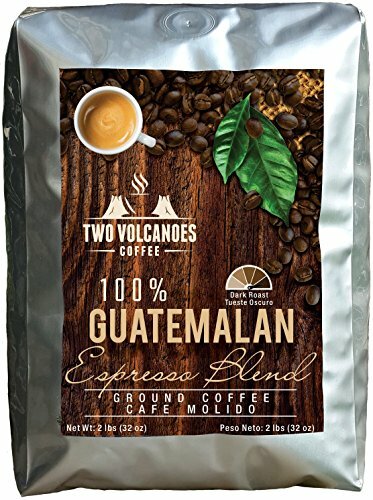 Okay, we did say that home-ground beans are best for French press, but Two Volcanoes makes it onto our list of favorites for several very good reasons. The organically cultivated Arabica and Robusta beans that are used for this coffee originate in Guatemala. The beans are processed and packed there too, ensuring freshness and flavor preservation. The coffee is coarse ground, specifically for French press. The final brew is smooth with woody, smoky notes. Koffee Kult is based in Hollywood, Florida. The beans are roasted by hand in small batches at their US facility, before being packed for freshness. If you’re in the area, Koffee Kult actively encourages enthusiastic home brewers to call in and check out their facility. The beans used in this coffee are non-GMO, 100% Arabica beans. The dark roast preserves the coffee’s natural flavors, which include sweet cinnamon and cocoa. The finished brew is smooth and bright with a long finish. 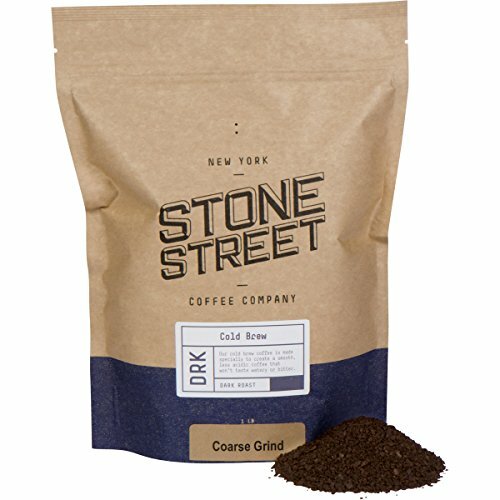 Stone Street Coffee is made with press brewers in mind and is especially suitable for making cold-brew in a French press. And yes, it’s another pre-ground coffee of exceptionally high quality. This Colombian Supremo single origin coffee is made using 100% Arabica beans that are dark roasted. The result is a coarse grind of low acidity that gives a smooth, slightly sweet, well-balanced yet bold flavor. Those of you who need a serious caffeine kick to get you up and at ‘em every morning need look no further than Death Wish. Death Wish prides themselves on being the producer of The World’s Strongest Coffee. A cup of Death Wish reputedly has double the amount of caffeine that you’ll find in your regular cup of Joe. This brand of whole beans is also one of Amazon’s best sellers. Premium coffee beans are sourced from USDA Organic and Fair Trade plantations and roasted to produce a surprisingly smooth brew that’s popular right around the world. Specialty coffee roaster and retailer, Peet’s Coffee is based in San Francisco Bay. The company has been producing coffee since its foundation in California in 1966. 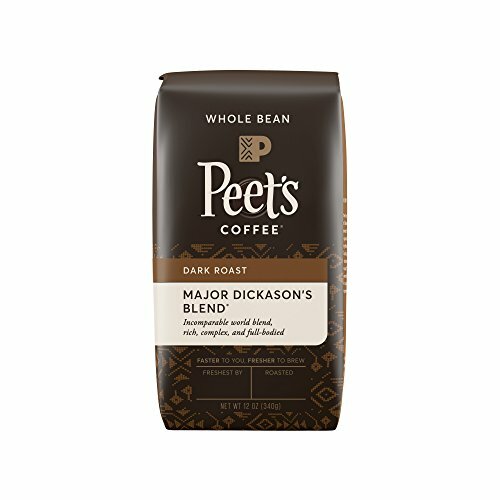 Major Dickason’s Blend combines the very best coffees from premier growing regions to produce a smooth, balanced cup of Java. The brew you can look forward to making in your French press from this dark roast is rich, complex, and smooth with a full body and multi-layers. This is an interesting and sophisticated blend that lends itself perfectly to the French press method. So, now you’ve bought your coffee beans, and you have a means of producing a beautiful, coarse grind to use in your French press. What could possibly go wrong? Everyone suffers an occasional caffeinating catastrophe once in a while, and brewing French press coffee is trickier than you might first think. So, to spare your blushes, we thought you’d like to know how to avoid these common French press foul-ups. Don’t worry; we’ve all been there. One of the attractions of brewing French press coffee is that the process allows you to customize your drink. The amount of grounds you use and the length of steeping time are totally under your control. However, a common error made by beginners is to get the balance wrong. Use too much coffee and the resulting brew is strong enough to keep you jittering all night. Use too little, and you could steep the brew for an hour or more and still end up with a watery drink that tastes like … well, not like coffee anyway. Beginners should start off by using a 1:10 coffee to water ratio. That is one gram of coffee for every 10 grams of water. That will produce a mid-strength brew, which will suit most tastes. If you prefer your coffee strong, increase the grounds to water ratio. If you prefer it on the lighter side, reduce the steeping time or use fewer grounds. Stewing the brew is just about the most common calamity that befalls home baristas when they first begin using a French press. If you leave your coffee in the French press, it will continue to brew in hot water, resulting in an over-extracted, bitter brew that’s just not nice at all. When the coffee has finished brewing, transfer it to a thermos or carafe. Or better still, drink it while it’s fresh! Warm your cup before pouring to help with heat retention. Also, be sure to invest in a decent set of coffee cups with good thermal retention properties too. As we’ve already mentioned (and it is worth saying it again), French press coffee needs a medium to coarse grind. Too fine a grind and you won’t be able to press it down properly, or it will run through the filter into your drink. You can avoid the problems that can result from unsuitable or poor quality ground coffee. Buy whole beans and invest in a decent coffee grinder, or ask your local barista to do the job for you in their commercial machine. French press coffee is perhaps the most reliable method of producing a customizable brew that’s true to the flavor of the bean. Use a coarse grind to allow for maximum flavor extraction and if possible go for a home-ground coffee, rather than pre-ground for freshness and perfect grind texture.